Alright, I promised yesterday I would be blogging about what I’m learning in relation to dependence on God. I intend to keep that promise but this morning I’m really thinking a lot about the concept of love. Give me a few more sentences to keep your attention. This post probably won’t be what you think it’s going to be. Most of the time we think of love in a way that feels good. We think of love in the form of our friends, significant others, family members, pets, etc. A love that we give & receive equally. A love that we enjoy. But what might we think about a love that doesn’t always feel good to give? A love that is difficult to live out? How would you feel about a love that makes you feel uncomfortable? 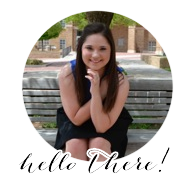 I read a blog last night written by one of the students I know through volunteering with WEST Youth Ministry and one thing she said just stuck. She said, “More importantly, I realized that God planned for that pain in my life so I could grow from it and learn how to love uncomfortably.” In the context of what she was talking about this made a lot of sense. I want to specifically pick out the part that says, “learn how to love uncomfortably”. If you want to read more of what she posted see her blog, HERE. What does that even mean? One definition of love says, “an intense feeling of deep affection”. Another says, “to have a strong liking for; take great pleasure in”. Still another says, “to need or require; benefit greatly from”. (all from dictionary.com) Clearly this world sees love drastically different from the way the Lord sees it. Scripture says, “Love is patient, love is kind. It does not envy, it does not boast, it is not proud. It does not dishonor others, it is not self-seeking, it is not easily angered, it keeps no record of wrongs. Love does not delight in evil but rejoices with the truth. It always protects, always trusts, always hopes, always perseveres. 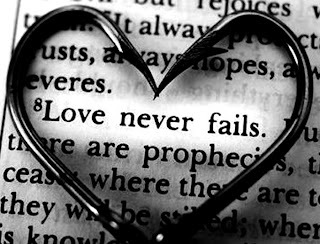 Love never fails.” (1 Cor. 13:4-8) Most of you reading this have probably heard those verses a million times, sung them to three different tunes & had them written on your mirror with a dry erase marker at some point or another. Here’s what I want you to hear… Love is not about me or you. Love is not defined by how good it feels or how much we benefit from it. Love is selfless & cannot be earned. We are called to love in a way that isn’t always enjoyable. We are called to love not only the people who we don’t think deserve our love, but also to love when it hurts. Unconditional love is a pretty well known concept. Love your annoying siblings, love the people who aren’t always your biggest fans, love people who have sinned against you, love the unloved & on & on. But even that sometimes isn’t the most radical form of love. We are called to love even when it makes us cringe. 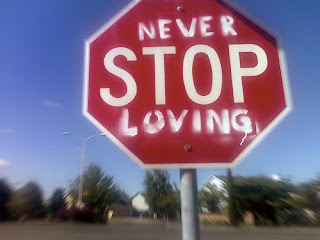 Even when it might cause or prolong a hurt inside of us. 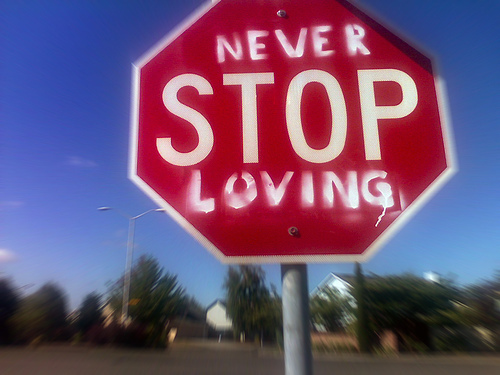 Even when we won’t be recognized for loving people, or receive some kind of reward because we endured difficult love. I am called to love the person who has taken the most from me, who has treated me to most poorly, who is cast out by society, who I would be embarrassed to be seen with, who God loves JUST. AS. MUCH. as he loves me. This could get controversial & I'm okay with that. But we are called to love those people that "the church" has ostracized. You know what I'm saying. We are called to love people who struggle with or define themselves as homosexual, people living on the streets who may not be attempting at all to get out of poverty, people who think Christianity is a hoax, people who indulge in & see nothing wrong with sexual sin, people who disagree with every single one of our political beliefs & ideologies. The list could go on forever. The reality is that Jesus boiled down all of God’s law to a few simple sentences. He said to love the Lord your God with all your heart, mind, soul & strength, & love your neighbor as yourself. (Luke 10:27) There is much to learn from & a lot of wisdom in scripture & none of it should be taken lightly. At the same time though, sometimes it’s much easier for our human pea brains to understand that simple commandment. Love the Lord your God with EVERYTHING & love your neighbor as yourself. That encompasses all that we are called to do in this life. (Love does no wrong to a neighbor; therefore love is the fulfilling of the law. Romans 13:10) And the intent, or the purpose, is that God would get the glory through it. For example, I am called to girls’ ministry. I am called to love, teach, live, & nurture young women to love the Lord & in that God WILL get the glory. 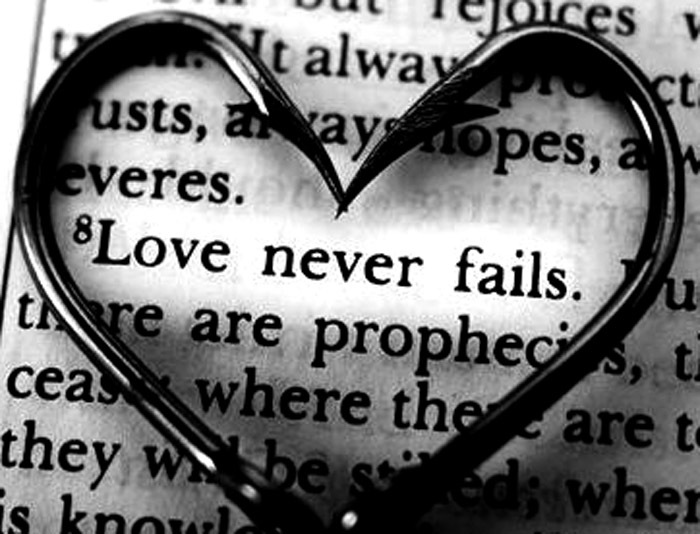 So we know who we are called to love & what might happen or how it might feel when we do, but HOW do we love like this? I don’t know exactly. I do know it’s not just being cordial when you see them or saying nice things about them. I think it’s sacrificial. I think it’s about petitioning the Lord in prayer, speaking truth about them or about the community they are associated with. I think it’s about being genuine. I think it's a heart issue.